Reginald Warneford was born in India in 1891 to British parents. He was educated in Stratford-upon-Avon and spent time in Canada before returning to Britain at the outbreak of World War One. He initially joined the army but was quickly transferred to the Royal Navy Air Service as a trainee pilot. Warneford was a brilliant but at times reckless pilot, one of his commanding officers said “This youngster will either do big things or kill himself.” He was correct in both of his predictions. German Zeppelin airships had been terrifying Britons by dropping bombs across the South-East of England. In June 1915 Warneford was chasing one of these airships near the coast of Belgium. 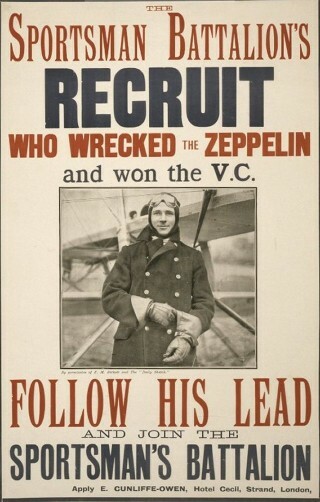 Using great skill he was able to fly above the Zeppelin and drop a bomb setting it on fire. 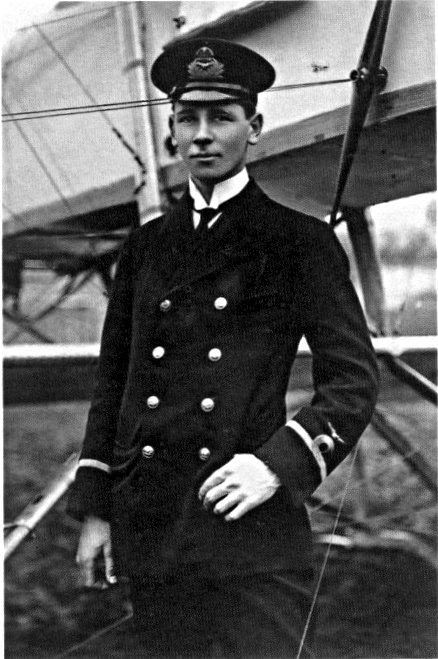 The explosion flipped Warneford’s plane and stopped the engine so he had to do an emergency landing behind enemy lines. Fortunately the damage was not too serious and he was able to repair his plane and return to base. 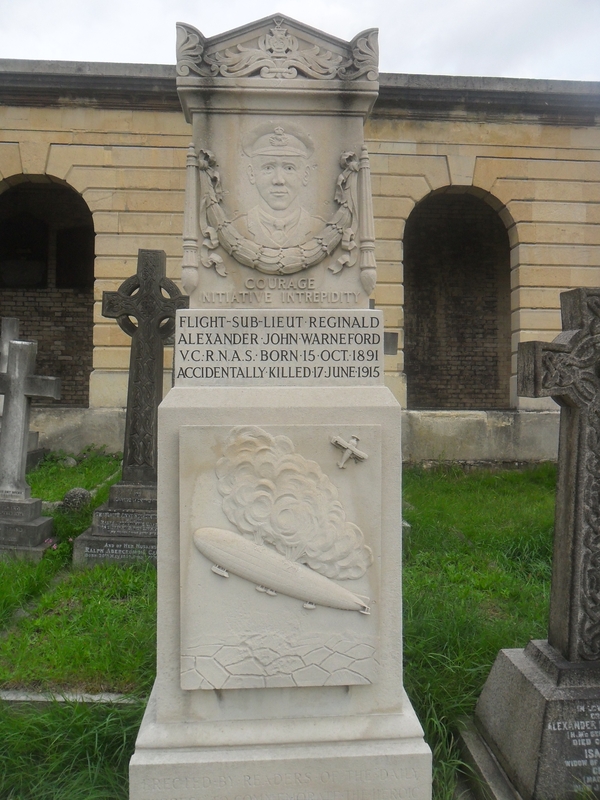 Warneford returned a hero; he was the first ever pilot to bring down a Zeppelin. For his bravery he received a Victoria Cross, the highest award for gallantry that can be given to British and Commonwealth forces. The French Army also awarded him the Legion d’Honneur, their highest decoration. He became a poster boy for the recruitment campaign for the Sportsman’s Battalions. Tragically Warneford was killed just two weeks later in an accident when one of his plane’s wings collapsed. He was buried in Brompton Cemetery, Chelsea, on 21 June 1915 in a ceremony attended by thousands of people. This page was added on 17/06/2014.